Jute cloth or yarn is scoured with soda ash and then bleached to give a creamy or off white colour. It may be dyed after bleaching to give bright colours. It is made from 840 yarn & 1260 yarn and availaible as per requirements of buyer. It is used in the Tyre Industries and Rubber Industries. We are a wholesale distributor from Kolkata dealing in 21 wale corduroy 8 wale corduroy, washed denim fabric in OD and SILKY wash, washed denim cracker , crossfire, 100% cotton yarn dyed fabric poplin, cotton trousers twill quality. Bleached/Dyed Fabric & Yarn : Bleached and Dyed Jute fabrics are used for different type of decorative purposes. Fibre dyeing, Winch Dyeing of Yarn and Jig Dyeing of Fabric is done using most modern concepts. - We have in-house facilities in our factories where we Dye the Jute Fabric in a variety of colours. - Can work on samples or swatches and we also follow internationally accepted colour codes like Pantone etc. - Final product can be delivered in bales or rolls as may be required. 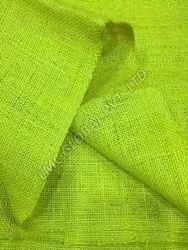 - Width, weight and weave of the fabric can be customized to suit the requirement. High quality 80D polyester bulk yarn suitable for woven label manufacturing industry, is sourced from quality manufacturers from Mumbai, India. 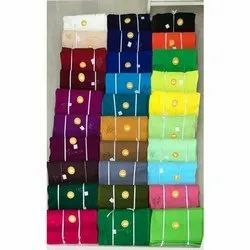 The Rajlakshmi Cotton Mill (p) Ltd.
Dyed Flannel products are made employing excellent quality raw material and match to the tastes & preferences of the clients. These products are available in different designs, colors and prints.